MAUI • Kevin Tway was suffering from a sinus infection and an aching ear, but that did not stop the American golfer from shooting a bogey-free round of 66 to take a one-stroke lead at the Tournament of Champions in Maui on Thursday. Defending champion Dustin Johnson, Justin Thomas and Gary Woodland were tied for second place after rounds of six-under 67 on a sunny and windy day at the scenic island course in Hawaii. "I was just trying to drink water, eat some food and stay upright," he told the Golf Channel. "But the golf was good. I drove it well, kept the ball in play, hit a lot of greens and made some good putts. "Everything was kind of going the right way." The Safeway Open champion also said he was eager to get off the course and into bed. "I'm feeling a little dizzy and tired. Definitely going to get horizontal, probably take some more medicine and sleep a lot, which I'm good at," he said with a smile. World No. 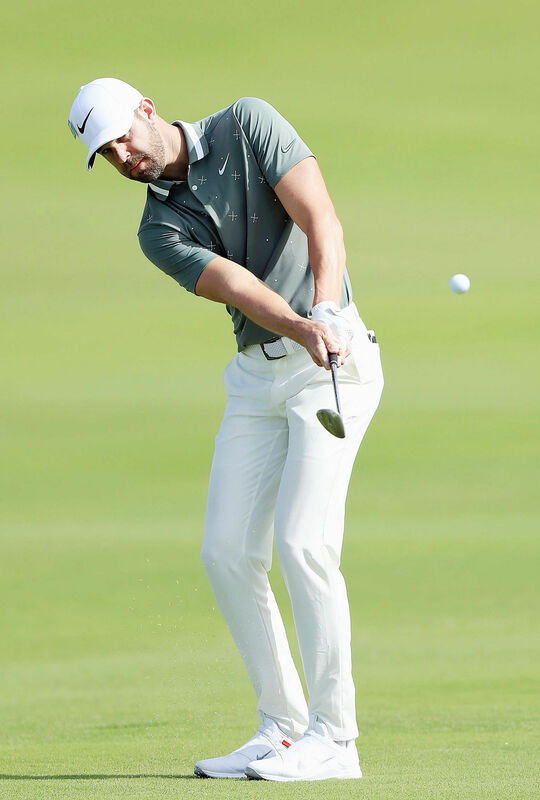 3 Johnson displayed his mastery of the course he knows well, mixing seven birdies with a bogey to kick off his campaign for his third title at the tournament. The rust from an extended break for world No. 1 Brooks Koepka showed, as the PGA Tour Player of the Year was limited to a round of three-over 76 and tied for 30th. The 34-man field in Hawaii is restricted to winners on the PGA Tour last year. Three golfers - Tiger Woods, Phil Mickelson and Justin Rose - qualified but are not playing. Meanwhile, a raft of changes came into effect on Jan 1 in the biggest rewrite of the regulations in decades and had their first professional test at the tournament. He took ample advantage of the new rule and birdied three of his final five holes to finish at four under and in a six-way tie for sixth. The world No. 5 has not changed his mind about the new rules, although he said there would be one exception. I was just trying to drink water, eat some food and stay upright. But the golf was good. I drove it well, kept the ball in play, hit a lot of greens and made some good putts. Everything was kind of going the right way. KEVIN TWAY, American golfer, on his fine round of seven-under 66 despite feeling ill.
"It gets tricky when the flag's waving back and forth and I've got a five-footer and shadows," he told Golf Channel as he prepared for the tournament. "That's the only time I would pull the flag out. "Any time I've got a putt over 10 feet, I'll probably be leaving it in, especially if it's uphill." "If I've got an eight-footer to win, I can't take myself seriously if I have the pin in," the 2017 PGA Championship winner told reporters.